Asamoah Gyan is ready for his marriage to Gifty to be over! The footballer has reportedly demanded the court speed up their divorce and – shockingly – he’s allegedly accusing her to prove if he's the father of their 3 children with a DNA test. 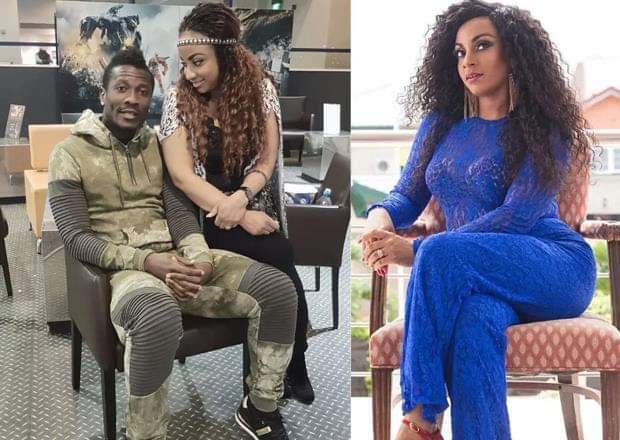 Ghana Black Stars Captain, Asamoah Gyan, has reportedly filed for divorce from his wife, Gifty, with concerns of infidelity laced to his divorce pursuit. According to GhanaWeb, the Footballer filed the case at at the Divorce and Matrimonial Division of the High Court in Accra, somewhere in August. The website stated that “The footballer has also denied fathering their three children and is demanding a DNA test to be carried out on all three to ascertain if he is the father of the children”. The report further says that the couple haven’t been in good terms for some months now to the point where, Baffuor Gyan, who is a brother to Asamoah, has seized Gifty’s passport just to prevent her from traveling to her matrimonial home in the U.K.
GhanaWeb also alleged that the Captain is in a relationship with an Accra based business woman and is preparing to marry her if the divorce is completed. Hmm is this going to be Odartey Lamptey Part 2?